Vittoria Modern Rectangular End Table features a 12mm black tempered glass top and a stylish V shape base with silver brushed stainless steel and painted steel combination with a black painted base. 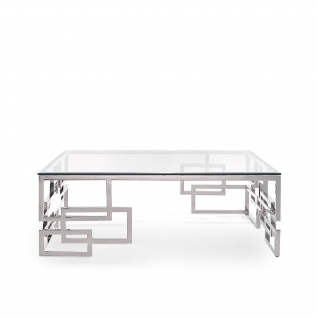 Width: 25" | Depth: 20" | Height: 22"
Vittoria Modern Rectangular End Table by Roberto Grassie features a 12mm black tempered glass top and a stylish V shape base with silver brushed stainless steel and painted steel combination with a black painted base. 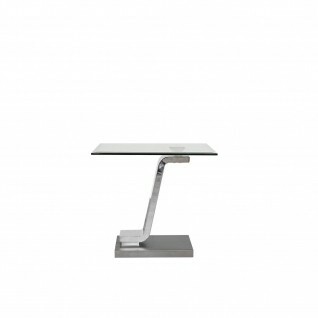 Onyx Luxury Collection offers End Table with a silver polished stainless-steel base and variation of table top options.